Launching and growing a successful solo or group practice can be a daunting task, unless you have a guide to help you actualize your vision. In this course, you will learn about creating your plan, locating an appropriate site, negotiating with a landlord, hiring support staff, finding and working with like-minded practitioners, and successfully developing your own wellness center. Excellent course for someone expanding their business or starting a new business. I found that it gave me new insights as to how I could set up my plans for a wellness center. I liked the fact that it stressed how I could work as preventative health educator for my community, which I view as a very important role in society. OH MY GOODNESS! I am so inspired! I have always wanted my own spa and this helped me get an idea of what that would require. Very interesting and hopefully in five years I will be able to put this info to use. Good practical, useful information for anyone interested in a potential wellness center. I found this course to be very informative. It really opened my eyes to how much is involved in starting a business. Very well written. Sure seems like a lot of research and time was taken to write this course. Easy to understand contents and author's intent. Bravo! I really enjoyed this course. I learned a lot of new insights into opening my own spa - which I have been contemplating for a while now. Great course. I've been in business for years and I am considering expanding into a wellness center so this course was a great way to organize my thoughts and plans. Course was thorough and well conveyed. I realize that developing a wellness center would not be as simple as I thought it would be. Thanks for the information. This class was very informative. Thank You. Gave me a starting point in planning my wellness center. Thanks! As a current establishment owner and therapist, I found this course helpful for our next phase of growth into a Wellness Center. A great refresher for my business plan. I especially liked the section on location/finding a space and the checklist associated with. Kudos on the program. It was valuable to me to convince me once and for all that I need to keep my practice very, very small. I thought it was put together very well. I like the added inspirational quotes. I found the information very informative and will be applying it towards my future practice. Thank You! This course was very interesting and covered all the basics. Good info. It generates some good ideas. This was a good strating place for me. It helped me overcome my fears to launch my business so I can step out and help my community to have a healthier lifestyle. Good test. To the point and easy to follow with easily understood information. Great course. It helped me understand more of the specifics to starting a Wellness Clinic versus my small business class in college. The content was an easy read and held my attention. It gave excellent suggestions and even offered a couple of useful resources. Good introduction course for someone who is thinking about starting their own business. I enjoyed this course and felt it was very direct. Great course to help identify if this is really the avenue someone should take in their practice. I really enjoyed this module. I learned a lot. I thought this was really helpful and definitely helped me create a vision for my center. This course was very informative. Highly recommend this course before opening a spa or wellness center to gain more knowledge of industry. Excellent and very detailed information! 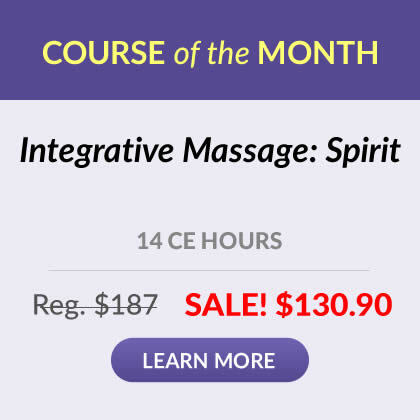 Great course for Practioners who are venturing to open a Massage Practice or Wellness Center. 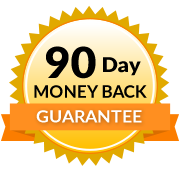 Great foundation for all business owners. I would recommend this class for anyone interested in starting a business. Easy to understand and great business checklist. 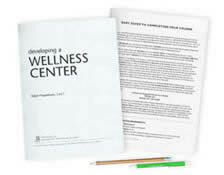 Develop and explain concept of a wellness center. Develop own vision and evaluate candidacy as an entrepreneur. Determine what services will be offered at your center. Develop a plan to realize your goals. Examine the advantages of leasing vs. buying space, buying existing business vs. starting from scratch, developing criteria for locating a site for your center, evaluating potential office sites. Learn the importance of consulting with an attorney by examing legal considerations, liability issues, and internal business structures. Developing marketing strategies and tactics for your center looking at various marketing types. Review the value of community outreach and develop ideas for community workshops. Describe the value of a support network.